Present, Future and Past ??? Click on the link and have your memories refreshed. The Prime Minister says that over the last decade that he has led Fiji, he has made it his personal mission to assure that no Fijian has felt cast aside in their own country and abroad, he made special efforts to reach out to the diaspora communities and reconnect with the extended Fijian family. World Bank gaffe or irresponsibility? One does not expect World Bank (WB) to make an irresponsible statement or even commit a minor “gaffe” about Public Debt in a poor country like Fiji where every tax dollar misspent is important to the lives of ordinary citizens. But it was recently reported (Fiji Times, 17 May 2017) that a new WB Resident Representative to the South Pacific (Lasse Melgaard) had pronounced that Fiji’s debt level is “manageable and reasonable” compared with other developed nations and that the WB would “raise the alarm” if it was not. Any intelligent person hearing these words from a powerful international “expert” institution like WB would be forgiven if she thought: Fiji’s debt level is OK; tax payers’ funds including borrowings and spending, are being managed well by government, and all is hunky dory. Melgaard also pronounced the grand truism that “public debt is not always a bad thing and it depends on what you’re borrowing for and what you are investing in”. Absolutely correct. But did Melgaard do any research on Fiji’s Public Debt or ask the Governor of the Reserve Bank of Fiji or ADB or even some USP economist what exactly have led to the significant increases in Fiji’s Public Debt these last thirty years? I doubt it. Had Melgaard done so, he would have found out that, yes, Fiji has created “Good Public Debts” in the past, such as for the Nadarivatu hydroelectric dam, the Suva-Nadi highway, the Vaturu Dam, hospitals, schools, water and sewerage infrastructure. But he would also have found many examples of “Bad Public Debts” some of which the public knows about; some we know virtually nothing about, because some reports on financial mismanagements have not been released to the public, and it seems that the Public Accounts Committee are not following up on some issues raised by Auditor General Reports which were not released from 2006 to 2013. The WB Resident Representative may be reminded that the Fiji public’s ignorance about wastage of taxpayer funds is because (a) legitimate questions by Opposition parties both inside and outside of parliament are not responded to adequately (b) a large part of the media is government owned and cannot be accused of actively being a “watchdog on government” (c) a private print media company is similarly inclined while receiving Government favours and (d) one privately owned print media (guess which?) is continuously struggling to be a “watchdog on government” despite media decrees, prosecution and negative comments by powerful Government ministers. All these are totally against the principles of “good governance” which the World Bank started preaching around the world ten years ago, and the WB Resident Rep ought to have known that. The WB was originally called the International Bank for Reconstruction and Development which rebuilt Europe after World War II. Today, the World Bank is known throughout the developing world for financing or co-financing large public investments in infrastructure (highways, hydroelectric dams, sewerage and water systems), giving unsolicited advice to developing countries and rescuing countries AFTER they have drowned in Public Debt, like Greece (not before). But usually WB decisions to encourage governments to borrow and spent on projects are taken after prioritization through hard rational economic analysis such as Internal Rates of Return or Benefit: Cost ratios. Sometimes their analyses and projects are disastrously flawed. Twenty five years ago when I worked on a massive WB analysis of education in the six largest countries in the Pacific (with Ian P. Morris) it was difficult to convince our Washington counterparts that expenditure on education at all levels in countries like Fiji and the Solomon Islands was vital for development and that the wider benefits (what economists call externalities) could not be captured by the usual rates of return analysis which focused largely on benefits for which dollar values could be estimated. It is only in recent years that the Fiji Government (ironically the Bainimarama Government) has implemented recommendations I made years ago on the need to free up education for the poor, including preschool. Unfortunately, the WB is still known for encouraging massive borrowing by developing countries to invest in large projects which turn out to be environmental disasters because WB economists have not understood the real long term value of environmental costs nor appreciated the extent of their ignorance about the value (dollar value or otherwise) of biodiversity or of the lives of poor people who are displaced by their projects. If you don’t like reading economics, read the writings of the delightful Indian writer Arundhati Roy (winner of the Booker Prize in 1997 for The God of Small Things) who fought for years against the massive Indian Narmada Valley Dam and Project which the WB originally supported with massive financing. The WB Resident Rep needs to be enlightened about some elements of Fiji’s “Bad Public Debt” which by no stretch of imagination should be called “reasonable”. Fiji’s older generation will remember that some $200 million were added to Fiji’s Public Debt because taxpayers had to pay for the National Bank of Fiji disaster caused by the Rabuka Government replacement of NBF’s management, leading to massive corruption and mismanagement. More massive amounts of taxpayers money (increasing Public Debt) were wasted in vote buying agricultural scams of the SVT and the SDL Governments, for which a few unfortunate civil servant scapegoats (and one canny businessman) were given free accommodation and food at Korovou and Naboro prisons. Then a few years ago, the Bainimarama Government and PS Finance were “guided” by ANZ bankers on an Asian “roadshow jaunt” and increased Fiji’s “Bad Public Debt” by $500 million in foreign currency, costing 9% per year. It took a rare honest and professional IMF rep based at PFTAC (Dr. Yang) in Fiji to tell a packed USP audience that “the IMF had been willing to make the necessary loans at only 2% interest rate without many conditions except for those that normally apply to such loans” (USP Newsletter). 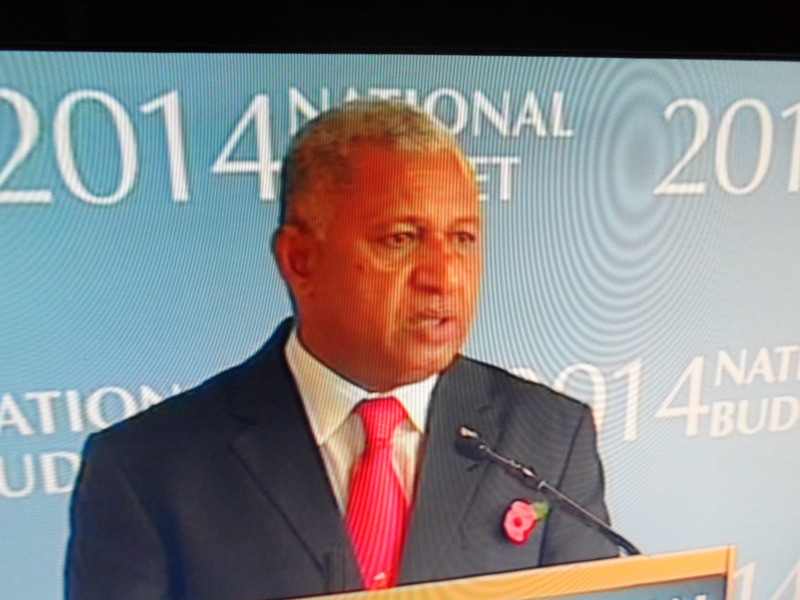 That offer was declined by the Bainimarama Government. For that piece of “Bad Public Debt” of $500 million, Fiji taxpayers began to pay an extra $35 million dollars in interest annually ($350 million wasted over ten years). A sad reflection of the quality of civil servants appointed by the Bainimarama Government, the same PS Finance alleged that the loan was blessed by God, while the ANZ CEO abruptly left the panel discussion “for a dinner appointment at his home”, refusing to answer why ANZ did ot lend the money itself and how much commission they had made. Under that same PS Finance there has been a massive expenditure of more than $2.5 billion on roads and highways all over the country over a brief period of five years, i.e. in excess of $500 million per year when our Public Works Department used to get less than $60 million per year. Of course these roads are useful but any rigorous analysis by WB (or ADB) would show that such massive expenditure over such a short period will not result in sufficient economic benefits and high enough Internal Rates of Return to justify increasing Fiji’s Public Debt by that massive amount. Any good accounting company will tell you that. If he wants to, the WB Resident Rep can talk confidentially with the current CEO of Fiji Roads Authority and their new Board who discovered significant overcharging by one of the consulting companies, as well as the many layers of unnecessary profits for subcontractors. There were also many issues of compromised or deficient standards (an investigation into collapsed roads is ongoing), similar to the well known case of a major housing project by the Public Rental Board. I suspect that there are also files at the WB office on loans that they have refused Fiji, but which were ultimately financed by China (hundreds of millions on roads and a dam) or India ($100 million wasted on FSC mills), without any hard rigorous analysis. Then there are all these FNPF over-expenditures of hundreds of millions on projects at Natadola and Momi), for which the Fiji Government has contingent liability and public money has been wasted. The WB should ask why no reports have been made public, although we know they exist. Some might think that this article is making a mountain out of a molehill in the form of Melgaard’s “throwaway line”. But Melgaard wrongly compares Fiji’s Public Debt to that of developed countries. He would understand Fiji’s poor economic performance and Public Debt better if he contrasted Fiji with a comparable middle-income economy like Mauritius, also a multi-racial island nation, using WB’s own data. Students should explore a most wonderful database treasure trove that the World Bank contributes to world research. It is freely available on the web on a massive range of statistics that even our Bureaus of Statistics do not make available (just google “WB database”). You will find for instance that Mauritius which had a lower GDP per capita same forty years ago is today is today more than a 100 percent higher. The graph opposite shows the great progress of Mauritius and the lack of it by Fiji. Melgaard might wish to learn that the cross-over point for the two graphs came at 1987 (the first coup) and that the Fiji graph has clear dips associated with the 2000 coup, the 2006 coup, and the 2009 abrogation of the 1997 Constitution. That same WB database has reliable statistics that tha t show that Fiji has spent 5.6% more of its Government Expenditure on the military over the last thirty years, than has Mauritius. In today’s currency, that wasted expenditure amounts to around $120 million dollars per year which could have gone to education or health. Over thirty years, that amounts to $3.6 billion dollars (that is right, $3,600,000,0000) which is around two thirds of Fiji’s current Public Debt. After every coup, military officers have been appointed to very senior civil service position bypassing other civil servants trained for those jobs, with unknown effect on civil service productivity, which may however be guessed at. Fiji governments have not had enough money to increase the salaries of doctors, nurses and teachers who continue to emigrate, but given generous increases to the Ministers and the military. Is it any wonder that the impressionable duxes of some secondary schools want to become army commanders! What should be WB role? We all know that for any WB Resident Rep receiving income and perks in excess of a million dollars Fijian a year, a posting in the Pacific is a delightful and peaceful sinecure, when the alternative could be some poverty stricken African banana republic, where every day he would be chauffeur driven past thousands of starving children denied taxpayer funds because of corrupt governments who have burdened their people with wasteful Public Debts. Fiji’s progressive but impoverished NGOs, political parties and citizens have struggled to pressure governments to be honest, transparent and accountable to taxpayers in their management of taxpayers’ funds, including a Public Debt whose increasing burdens fall on current and future generations. Sadly, these struggles have not been supported by powerful international organizations like the WB, UN and IMF. It is understandable if for the sake of their own narrow KPIs (and delightful life in Fiji), they refuse to condemn extreme instances of bad governance, abuses of human rights, media censorship, and corruption that have some to light. It is understandable if they have their photos taken with military dictators and illegal coup leaders to send back to Head Office. But one does not expect them to make local people’s struggles harder. Far from pronouncing that Fiji’s Public Debt was “reasonable” one would have expected the WB Resident Representative to warn the Government about inefficient public expenditure and the need for Government to be accountable to the tax payers through the Auditor General and the Public Accounts Committee. 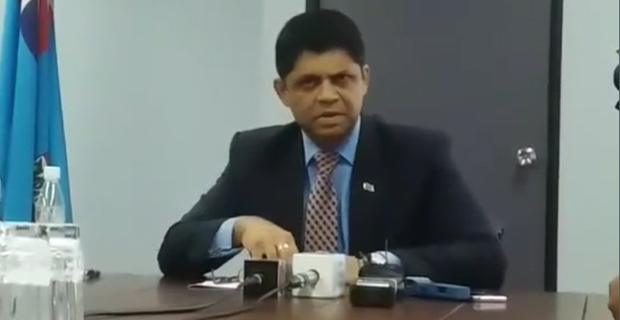 The statement by the WB Resident Representative that Fiji’s Public Debt is “manageable” may be technically correct but his pronouncement that Fiji’s Public Debt was “reasonable compared to developed countries”, is at best a “gaffe” and at worst, irresponsible. The intelligent public and Opposition Parties will see the extent of his damage “in due course”. [Hint to the curious: rearrange these letters: ta eht txen tegdub hceeps]. Hon. Members of Parliament, Hon. Chief Justice and members of the Judiciary, Your Excellencies of the Diplomatic Corps, Distinguished Colleagues, Students, Ladies and Gentlemen. When Dr Merrell asked the School of Law of the University of Fiji to host the world first launch of her book ‘Redeeming Moti’ I did not hesitate for a moment even though I had not yet received the advance copy to read. I said yes because I have known of Julian Moti for a long time, though we did not officially meet until he became Dean of the Unifiji School of Law where I myself had taught previously. I sought Julian out on one of my trips back to Fiji from NZ because I was pleased that he had been appointed the first substantive Dean of the School of Law, and I had liked the paper he had delivered for the inaugural Sir Moti Tikaram Memorial Lecture. But back in 2006 I had no idea of the horrors that faced Julian. That year I was in Melbourne delivering a lecture when I heard the news that he had just been arrested in Papua New Guinea. The only news items I received were those published by the Australian press. These articles obviously favoured the Australian authorities who were responsible for his arrest (and then had him charged) with what I, as a human rights lawyer, considered to be an unspeakable offence. Until I read Dr Merrill’s book last week, I still had no idea of the actual facts, only that he had eventually been cleared by the Australian courts; and that was good enough for me. I did not want to know the details; he had been cleared. But, Ladies and Gentlemen, I was naive. It is just not enough to know that Julian had been cleared. The wrongs inflicted on him by those who otherwise wave the flags of democracy, rule of law, due process and human rights, and trumpet all the politically correct platitudes at us, Pacific Islanders, thus far remain unpunished. The perpetrators have shrugged and moved on, as if to say, you lose some….so what? And that is the evil that this book exposes. It is possibly accurate to state that had the accuser not confessed practically on his death-bed that he had made up his story about Julian’s so-called ‘crime’, a confession that Dr Merrell obtained on video at the 11th hour and publicised, the story may not necessarily have had a particularly pleasant ending. This is the true horror of this saga. I have to use the word ‘serendipity’ for that reason. But for that….we don’t know. ‘Redeeming Moti’ is going to be an important book for universities and scholars for a number of reasons which I will go into in a minute. But it is not a scholarly book- it does not have the kind of language that scholarly tomes tend to have nowadays in the post-modern tradition- convoluted and Foucaultian It is uncompromisingly straightforward; a High School student can read it and will find in it both tragedy and comedy, take your pick. The story is so awful it is funny- and by funny I mean gallows humour. When I read it I said ..how can this possibly happen to anyone? Well it did happen. Dr Merrell’s book explains how and why. Julian, in his usual pithy way, put it well….he was, as he said, ‘…the last blackbird out of Melanesia’. He was not immune to kidnapping, destination Australia, even as the Attorney General of the Solomons. Now, what will scholars and universities find in the book? What will my law students take from it? That was the litmus test for me as I read it. Well, Ladies and Gentlemen, let me tell you why I think that every person in the Pacific and the world should read this book. They will find everything in it. It has all the ingredients of a good thriller; it has a good survey of Pacific and international politics; a good review of media culpability in the persecution of a man who stood up to neo-colonialism, sometimes without support even from those he was protecting; there is a love story (of sorts) in it; and there is redemption, that is, a belief, a desperate belief actually, that one day the truth will be out and then everyone will understand. At the time that Julian was suffering in various filthy police cells, under trees on a remote Solomon Island air strip, as a “refugee” in an embassy in Papua New Guinea and in the court rooms where his very privacy was violated and exposed to public ridicule, he clung to that hope that he will be redeemed. It is remarkable that his legal intellect remained intact despite these assaults on his dignity and person. And the effect on his elderly parents must have been enormous. How did the long term stress of it all affect his father, also a victim, who sadly passed away just as the Court redeemed Julian. Ladies and Gentlemen, there are several observations that I can make in reference to why this book will rightly have a scatter-gun effect. First, it exposes mainstream media for what it can be- banal, here today, gone tomorrow, slavish to those in power, hence denigrating its own power to do good, or if that is too hard, at least to be fair, occupying its own colonizing space shamelessly, and then, without warning, becoming self-righteous and unjustifiably indignant. I say all this with some confidence because my very first job after leaving university was as a journalist with Fiji’s only daily newspaper at the time. I was absolutely amazed when I read Dr Merrell’s book to find that nothing had changed with the media since I was a rookie reporter more than 40 years ago. Is there something to be said about the way mainstream media works in the Pacific and how journalists are trained? Or about the difficulty with the concept of truth? Or if not truth, if that’s too complex, just plain facts? I do advise you all to read the book and reach your own conclusions. But what Dr Merrell shows as a journalist, and she is one despite her political science doctorate, is that the mainstream media must understand what it means to be the ‘critic and conscience’ of society. That goes for Universities to. That, being the critic and conscience of society, is the core value of both the media and universities. We lose sight of that too easily in both institutions. Secondly, I turn to Pacific Politics, both external and internal that is exposed in the book. During this sorry series of events apparently now known as ‘Motigate’, parliamentarians of some Pacific Island states switched sides so fast, it made me dizzy just to read about it. What this book says about Pacific Island politics is revealing, to put it mildly. It appears we have no ethics, no loyalty to anyone but ourselves (certainly not to the constituency), no shame in changing sides to stay, even precariously, in power, and no guilt about selling our country or ourselves to the highest bidder. Instead we say, oh well, that’s politics for you. It’s just a dirty game and anyone entering politics must learn to play it. After all this is the way the world has been even in the western tradition; look at what happened to Julius Caesar. So why should we expect anything different in the Pacific? Well, I can’t uphold that perspective to my law students; and I hope no lecturer here tonight will be able to say that to their students either. Dr Merrell’s book exposes the farce of Pacific politics, including in Australia, in such a way that we have now to decide what we want our politicians to do and be. It is the constituency that will have to take the responsibility for keeping its politicians on a tight leash. Deceive us and you are history. That is the message we have to teach our young people- take responsibility for keeping your representatives straight. Challenge them at every opportunity; make them answer your questions; hold their trouser legs with sharp teeth until they beg for mercy. Above all, don’t be frightened of them; they are your servants, not the other way round. Finally, the law. Ultimately, what comes out as a force for good in this book are the courts. But not easily. In Dr Merrell’s account, courts’ decisions are based as much on chance as on law. If there had been no death-bed confession by the false accuser that the entire story against Julian had been absolutely fabricated to get money out of the Australians who wished to continue milking the RAMSI cow, a story that was published widely by Dr Merrell before the appeal court heard Julian’s case on deportation, who knows how the Australian courts might have ruled. It was as serendipitous as that. In my own experience as a lawyer in Fiji, I know only too well that one can never predict a court outcome. It’s Russian Roulette. All I and my colleagues at the Unifiji School of Law can do is to advise our students that if they define law as justice, they can keep their heads high; because without justice there is no law. They will still lose on many an occasion because not everyone thinks like that- and the courts very often do not. We should remember, and learn from, the remark attributed to the US Supreme Court Justice Oliver Wendell Holmes Jnr. to a young lawyer arguing that his client required justice from the court. Justice Holmes told him, quite kindly,….’This is a court of law young man, not a court of justice’. But the Australian court that released Julian into the arms of the country of his birth, was a court of justice – at the time. That is the one bright light in the book. But above all, for all that I have made some remarks that would be pertinent to scholarship, this book is about human foibles, including the author’s own which she freely shares with her readers, and about, almost Shakespearean, tragedy, and regret. Nevertheless, the phoenix does rise, as did Julian who is here with us today to talk a bit about the aftermath, the postlude. No one involved in this saga remained unscathed, least of all Julian, and also the author- that is clear. However, we are reminded that despite the evil that we know for a fact exists in the world in myriad forms, there is good also, and that is the only thing that counts in the end. But, of course, only if we can find the difference between the two because, quite often, evil masquerades as good. That is the message in the book. I congratulate Dr Merrell for having written it, warts and all. But most of all I commend Julian for having considered the story, unauthorised as it was, important enough to agree to having it launched publicly here today despite the obvious wounds that would be re-opened for him in the process. Ladies and Gentlemen, I am indeed very happy and honoured to formally launch ‘Redeeming Moti’ and to highly recommend it to you.